Focquet is active in all sectors relating to electrically driven industrial power equipment. Four core departments are at the center of our activities: electric motors, transformers, power electronics and pumps. This last pumps-based department was created in 2005. Our activities within these departments focus mainly on the purchase, the transformation (reparation, reconditioning, customization), the distribution and on the rent of electric industrial power equipment. 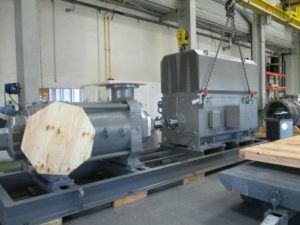 Our extensive stock, the largest one available in Belgium, enables us to respond rapidly to orders for new (90% of our stock) or second-hand (10%) equipment. Our wide range of second-hand motors offers you the advantage of highly competitive pricing coupled with extremely short delivery lead times. 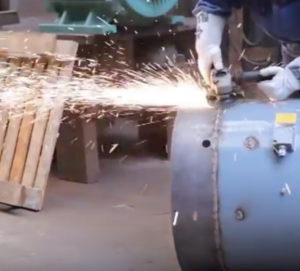 All our second-hand equipment carries the same 12-months guarantee as our new equipment – and following reconditioning it is, of course, subjected to a important series of tests to guarantee that it is in good working order before being repainted and delivered to the customer. 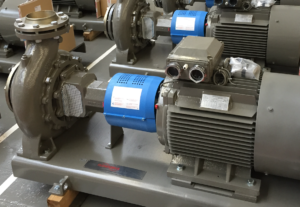 Much of our equipment in stock is new, including electric motors stamped by our 2 trademarks: 2€C (European Electric Company) and Focquet. We support your needs thanks to a team of highly qualified and trained professionals offering fast, flexible, reliable and high quality solutions. These four assets are the key factors of our success. They have allowed us to acquire over the years a large clientele and to build privileged trust relationships with them. In addition, we focus on a workforce offering personal and direct advice before,during and after selling/renting electrical equipment from us. This personal contact is essential for us in order to better understand the needs of our customers and offer them suitable solutions. 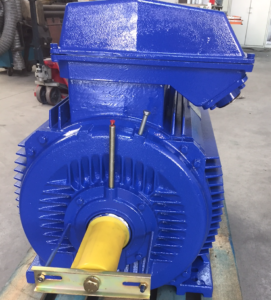 Our workshop is specialised in customising our motors to suit your specific needs. Focquet thus offers tailor-made solutions to its customers. Not only do we comply with your desired method of assembly or use, we can also install special equipment such as insulated bearings, NU bearings (rollers), forced ventilation, tachometers, incremental encoders or protective sensors. 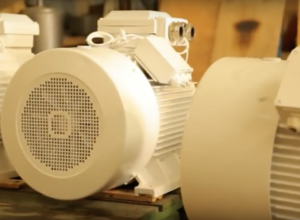 Our decades of expertise in the field of electric motors and their special features have made Focquet a leader in the field. We also offer industrial electrical equipment for rent (with or without purchase option). As we are often called in time of emergency by companies requiring immediate assistance, we must be able to meet this requirement. 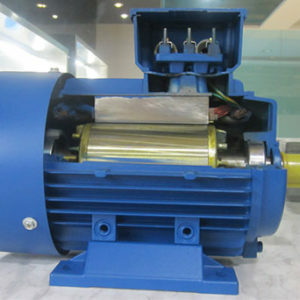 Thanks to our experience, we have managed to organize ourselves over time to ensure the availability of a large stock of motors and transformers ready to be put in place by our specialized teams as soon as possible. 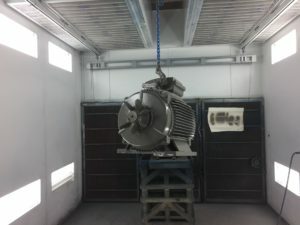 Several hundreds of motors and transformers are available in our stock and can be rented for a certain period of time. The rental of electrical equipment is often a quick and effective solution for our customers who are waiting for a new machine or waiting for the repair of their current machine but also in the case of a technical failure which must be resolved as soon as possible. 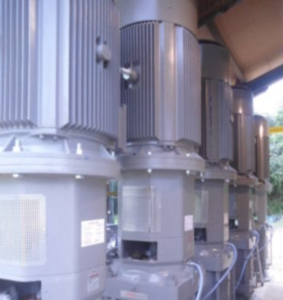 The rental of our motors and transformers thus ensures our customers the continuity of their current activities and avoids a temporary work stoppage of their factory which could be detrimental for them. In addition, leasing offers the advantage of making investment savings. Finally, we can suggest different modes of transportation to ensure timely delivery. We have an Express solution in the case of emergencies. Your order is then delivered using the ‘Taxicolis’ personalized transport solution everywhere in Europe and by plane outside Europe. With the Express option, the equipment is dispatched immediately and transported non-stop to its recipient everywhere in the world. Where the delivery lead time is more flexible, we work mainly with national carriers for the Benelux. For deliveries to France, we have partnerships with carriers offering two types of transport: either a normal transport with delivery within 3 to 4 days depending on the delivery address, or the Garantissimo that allows a delivery within 24 to 48 hours. We are also able to arrange transport that requires the loading of the equipment on boat or plane.